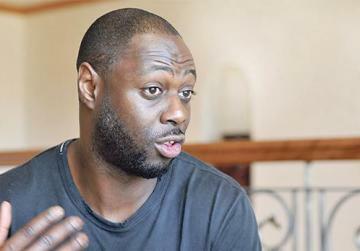 Ranked among the best defenders England has ever produced, Ledley King went on to feature in over 300 matches for Spurs and played for his country in the 2010 World Cup. “In my career I had a lot of ups and downs but injuries are always difficult to deal with,” King, 36, admitted. King reckons that Tottenham have made great strides forward in their bid to become stronger and put together a side capable of challenging for the top honours. “Tottenham are ready for the challenge. We had a top-three placing these last couple of years, highlighting our consistency,” the former skipper said. With a new stadium on the horizon, King says the new investment should help the club in making that leap of quality not only in England but also in Europe. “It will definitely attract new players, for sure,” he said. “Since moving to the new training facilities five years ago, one could notice the difference. Becoming bigger and stronger is not Spurs’ only priority. Battling it out with arch-rivals Arsenal is always another target year after year. Spurs finished ahead of the Gunners in last season’s final standings for the first time in 22 years. “The derby is always a special occasion in north London,” King said. “It is that game you check first on the calendar when the fixtures are released. Having been at Spurs for so long, I became used to playing in the derbies and you would always want to emerge a winner. King joined the Tottenham academy when he turned 14. It was not easy for him as he was still at school while embarking on a completely different journey. “The transition from the school desk to the training pitch was difficult. You have to train every day to make progress and that puts a huge load on your body. For sure, you need to stay healthy and away from trouble,” King explains. “Yet, the development for me was smooth. I had one year as an apprentice and then three years as a youth pro before I made my senior team debut at 18. “At the time, I played along some of the best stars Tottenham have had including David Ginola who was amazing in what he could do. Then came the likes of Robbie Keane, Luka Modric, and Gareth Bale. Ledley King (centre) celebrates with Spurs team-mate Michael Dawson during the League Cup semi-final against Arsenal at White Hart Lane. King made his debut for Spurs on May 1, 1999 in a 3-2 defeat to Liverpool. That day he was deployed at left-back. He also played in midfield but his natural position was at centre-half. “At first you take on different positions on the pitch before you settle into just one,” King said.“I always thought that the role of a central defender suited me best though. But the biggest test for King in his career was to battle against injuries. “Honestly, I had an operation after my first full game and the knee did not trouble me for the next three or four years. Then, when I was 24, I started to miss a few training sessions and eventually at 26 I was not practising at all as I had to undergo a major surgery,” King said. “After that I was only trying to stretch my career as much as I could. When Harry Redknapp arrived, he allowed me to manage myself the best way I could and gave me a lot of playing time. It is almost impossible to think that a player could survive the demands of the Premier League with limited time at the training ground and not show signs of struggle or fatigue… yet King was immune to all that. “During my rehabilitation, I watched a lot of football and studied different aspects regarding positioning and tactics. That helped a lot and I am also grateful that I had experience and a natural talent to rely on,” King said. At present, King is the CEO of a new game – Seven of the Best (https://www.7otb.com). It is a football prediction competition for fans where one has to try and guess six wins and a draw and get points for each correct result. Participants can play for free and they only need to select teams to win not correct score, with points awarded in various but enthralling ways. If one gets 7 in any 4 weeks in a row, a prize of £1,000,000 can be won. Moreover, each week there are cash prizes for best individual and 7OTB team. 7OTB teams can be formed with friends, work colleagues or sporting teammates. Seven of the Best comprises eight leagues, including Scottish football, engaging more people with different football backgrounds while keeping the excitement for the game alive. Ledley has a legends team and has so far revealed Peter Crouch as a member. There is also a competitibeingeen run for people to Join Ledley Challengers team just go to (https://twitter.com/7otbfootball or https://www.facebook.com/7OTBfootball). “The game is a great addition to the weekend's football” Ledley said.